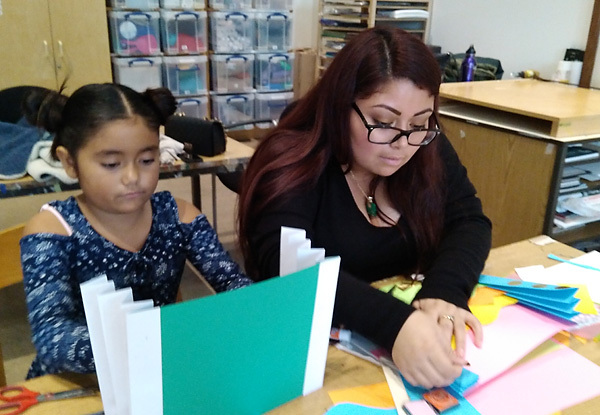 A series of one day Family Bookmaking Workshops at the Los Angeles Country Museum of Art! Join us 10AM – 1PM Saturdays, July 21, 28, August 4, 11 and 18. Learn how to create fun book structures including The Flag Book, The Folded Fan Book, The Accordion Fold/Concertina Book, and The Tunnel Book. Each project will include an exploration of a special artwork at the Museum which relates to our bookmaking project for that workshop.